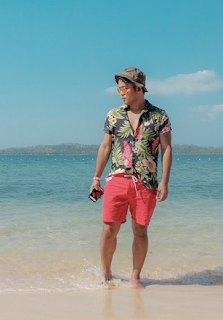 Alex de Vera Dizon, currently a fulltime Digital Marketing and Communications Officer in one of the largest property developers in Southeast Asia, has started writing his online journal back in 2005 where he met different online personalities and established his own community of readers and bloggers. It was in 2009 when he officially launched his own website Recycle Bin of a Middle Child (www.recyclebinofamiddlechild.com). Alex used to be part of a non-government organization, Habitat for Humanity Philippines, where he held the position Online and Social Media Officer. He is the one behind the organizations most successful online campaign, Habitat Online Champions. This is where he was able to tap and gather bloggers and influencers from Luzon, Visayas and Mindanao to raise awareness and funds for Habitat's #RebuildPH. During his free time, Alex still graces events, launches, and parties. Currently, Recycle Bin of a Middle Child has now reached almost 2 million page views. Alex enjoys traveling and photography. To contact Alex, kindly visit Contact Page.